Mother’s Day is just a few weeks away. 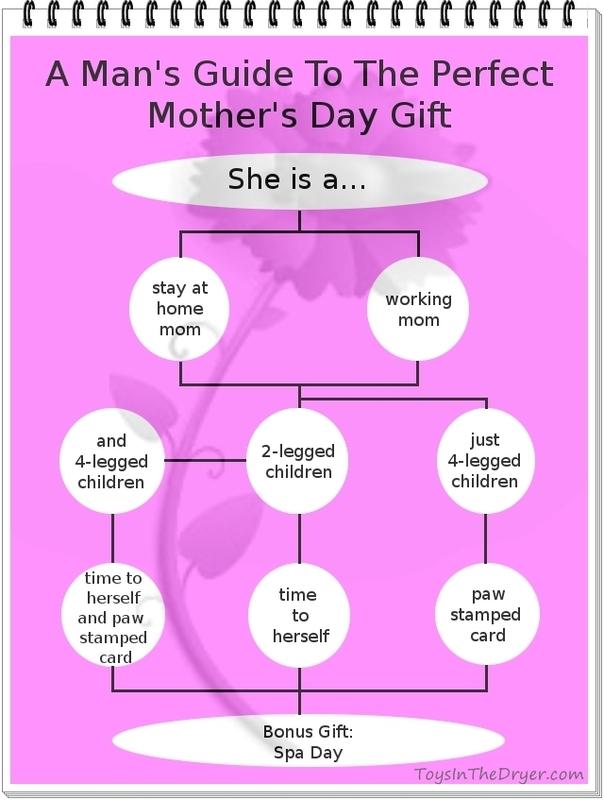 This year, instead of letting the men in our lives flail around trying to come up with the perfect gift for us, why not show them this simple Mother’s Day gift infographic I created. It will guarantee that we’ll get exactly what we want on Mother’s Day. What do you think? Could this Man’s Guide to the Perfect Mother’s Day Gift help the man in your life?